Rosberg is a stylish and versatile collection of vintage eclectic woven and velvet fabrics. This chair will make a welcome addition to most surroundings – classical or contemporary. With attractive brass studding, neatly buttoned arms and contrast leather piping it is a showcase for fine detailing. 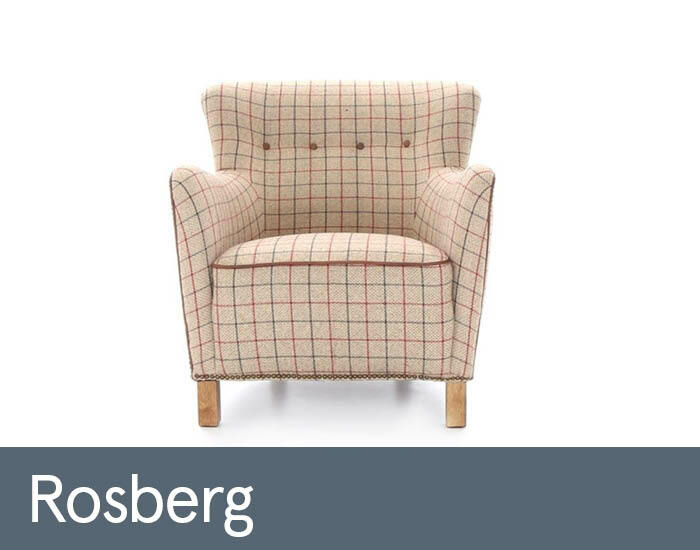 The Rosberg chair is a great accent chair for your room, adding character to your room.